The following list is comprised of fairy tales told at Christmas time both in the United States and all over the world. Too often we forget that there are a lot of countries that celebrate holidays at this time of year, and besides being a quality reminder, giving these tales a read might spark you to spread a little holiday joy! Or not, because some of them are terrible—but in a good way…in a Hans Christian Andersen way. Terrible and wonderful! As usual, they’re in no particular order. Hans Christian Andersen, the famous Danish author, is known for his somber fairy tales, from his take on The Little Mermaid to The Emperor’s New Clothes. While many of his stories have been adapted to happier tales, Andersen’s traditional stories usually leave readers with less than smiling faces. The Steadfast Tin Solider is no different. While, in its original form, this fairy tale is not one for Christmas, it has become synonymous with the holiday and is often offered as a secondary option to stories such as The Nutcracker. It’s a tale of romance, of trial, and it’s primary theme is the comflict between love and dignity. You can give The Steadfast Tin Soldier a read here. 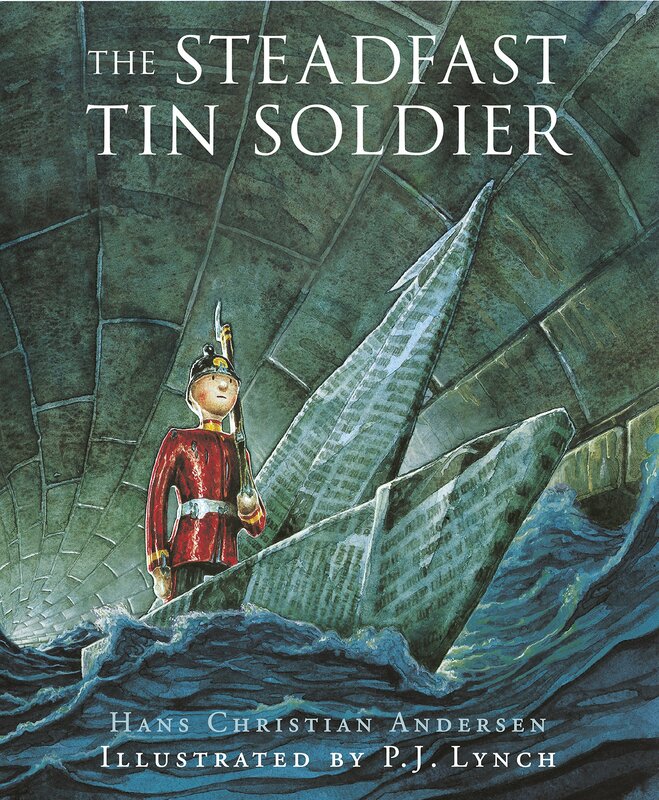 This is the cover of a reprint of The Steadfast Tin Soldier, made available on Amazon in 2005. It doesn’t matter what time of year it is—How the Grinch Stole Christmas is always good. Whether you’re reading the original poem, watching the cartoon, or even hopping on Netflix to see Jim Carrey’s take on the Grinch, it’s always a good time. Dr. Seuss, like he did with so many of his stories, crafted a beautifully timeless tale about the meaning of Christmas—a point I touched on in my last post, Christmas Shouldn’t Be Perfect. No matter Who you are, the Grinch will steal your heart, shortly after he robs every Who in Whoville of their presents. There’s not a full version of the original poem available for free that I could find online, but a quick search should pull up some excerpts for you to enjoy. Photo of Asbjørnsen, from Wikipedia. In 1841, Peter Christen Asbjørnsen and his dear friend Jørgen Moe published Norske folkeeventyr (Norwegian Folktales), and included in this collection was The Cat on the Doverfjell by Asbjørnsen. This story is a short and concise comedy about the troubles of some trolls on Christmas Eve. Out of all the fairy tales I researched for this month’s Top Ten, Asbjørnsen’s story was one of my very favorites. I won’t say much to spoil it, besides it’s a short read and you should read it here after you finish this post. More impressive than this particular story is Asbjørnsen’s life; for instance, he once walked (walked, as in, on foot) the length of Norway so that he could gain writing ideas. Leo Tolstoy, the infamous Russian author, was one of the most gifted writers to ever grace our Earth, taking his pen to such lengthy and inspired novels as War and Peace. Tolstoy was also a devoutly faithful man for most of his life, and we see that faith given beautiful detail in work’s such as Papa Panov’s Special Christmas (occasionally published as Papa Panov’s Special Day in the United States). In this story, we meet Papa Panov, your everyday Russian shoemaker, who is visited by Jesus Christ. Papa Panov is given notice of Jesus’ personal visit on Christmas Day, though the Son of God will be in disguise. It’s a tale that shows the heart behind Tolstoy’s religious beliefs: that Christianity is about showing and spreading the love of Jesus in every interaction. Moreover, Tolstoy writes the tale, usually considered a children’s story, with the marquee depth, thought, and irrefutable style that he used to write even his longest novels. I couldn’t find a free version of Papa Panov’s Special Christmas online, but you can usually find it in bookstores and libraries. Every year, from December 26th through January 1st, Africans and African Americans celebrate Kwanzaa, a holiday dedicated to their culture, history, and faith. Part of Kwanzaa is recognizing the Seven Principles designed to build up family, culture, and faith. These principles are Unity, Self-Determination, Work and Responsibility, Cooperative Economics, Purpose, Creativity, and Faith. The Name of the Tree by Eshu Bumpus is a short fairy tale designed around the fifth principle, Purpose. Bumpus tells the story of some animals in Africa who must remember the name of an ancient tree in order to eat its fruit, and from there it’s almost a variation on the old saying, Slow and steady wins the race. It’s a reminder to remember your purpose. You can read it here. We all know the story of Rudolph! The others don’t like him, but hey, it’s pretty foggy and Santa needs his help. Rudolph saves the day, triumphing despite no one believing in him—besides Santa of course. Less known is the story of how Rudolph the Red Nosed Reindeer came to fame: Robert L. May was an executive with Montgomery Ward Department Stores, and for the holiday season of 1939, he was asked to craft a story to sell instead of similar third-party products. May constructed Rudolph’s story, which became immensely popular. 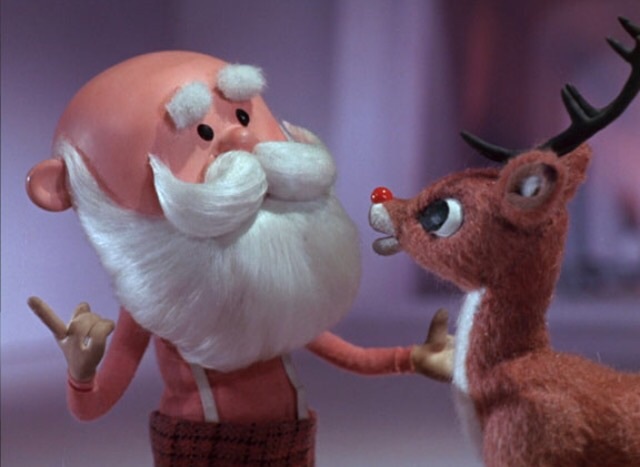 When the 1964 Rudolph-inspired claymation film came out, Rudolph became a integral part of Christmas. In 1922, Professor Cyrus MacMillan published Canadian Fairy Tales, a short eighteen years before he would join the Canadian Parliament. In Canadian Fairy Tales MacMillan included a short Christmas tale called Saint Nicholas and the Children, which is a title that makes the story sound a lot cheerier than it is. There’s whistle makers, giants, and butchers, and by the end of the story, you’ll have laughed, gasped, and whimpered. MacMillan’s tale is one that displays the great care that Saint Nick shows to each and every child, and is a fun read if you’re trying to convince your kids to stay away from strangers! Saint Nicholas and the Children is available to read for free here. Up until now, this list has been fairy tales that originated in the form of a short story or poem, but I’ve made this list and checked it twice to find that this black and white cinematic classic deserves a spot! Miracle on 34th Street is the kind of movie that makes you feel good, the kind of good that makes you better at being a human. It’s a heartwarming tale about being who you are and staying true to yourself, no matter the consequences. And, honestly, it makes me believe, if only a little bit, that Santa is out there somewhere, flying his sleigh onto my rooftop this Christmas Eve. Is it a Halloween movie or a Christmas movie? The world may never know! The Nightmare Before Christmas has divided the average holiday film viewers in a fashion similar to how The Last Jedi pitted Star Wars fans against each other. (Low hanging fruit, I know, but am I even a writer if I don’t commentate on the truly pressing issues of our day?) Furthermore, why are there TWO movies included in this Top Ten now? Because The Nightmare Before Christmas is cinematic art, that’s why! Caroline Thompson, playing with characters created by Tim Burton, crafted a beautifully quirky, utterly shocking script that has both the candy crushing punch of Halloween shenanigans and the true spirit of Christmas. Like the Grinch and/or Papa Panov, Jack Skellington shows us the meaning of Christmas: It’s love and the heart, what’s on the inside, that counts, and not the dried, rotting bones on the outside. Like I always say, this list is in no particular order, but I did purposely save this story for last because it was, by far, the most touching to me. Henry Van Dyke is a storied writer—from graduating from Princeton University to lecturing in Paris and being an English professor, and from that to being a minister and clergyman. Van Dyke was a disciplined, well-read, highly intelligent, religious person, who happened to be a wonderful writer. The Other Wiseman is, in my opinion, one of his greatest works. It’s one of the longest stories or poems listed here, but it’s well worth the read. The tale follows Artaban, a man who feels called by God to follow the Star of David, to find the newborn Jesus alongside the other wisemen. I won’t say anymore, but if only for the beauty of Van Dyke’s writing, you should give this tale a read here. That concludes this month’s Top Ten! What did you think? Do you have any other holiday fairy tales, stories, poems, or films that are your favorite? Drop your thoughts in the comments so that I can check them out. If you want to do some more reading, follow my blog for updates on my weekly posts, and I have four books published, with a fifth on the way. Check out my books here. Last week’s blog post, as I mentioned above, was called Christmas Shouldn’t Be Perfect if you wanted to read that. Don’t forget to like and subscribe, and I’ll see you next week!